A Life Bound By Books: Blog Tour: Character Interview, Danielle from One Tiny Secret By: Adam Kunz + A GIVEAWAY!!! 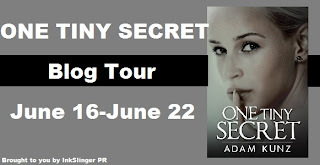 Blog Tour: Character Interview, Danielle from One Tiny Secret By: Adam Kunz + A GIVEAWAY!!! Synopsis: **Mature Content Warning** Recommended for 17+ due to language, violence, and sexual content. 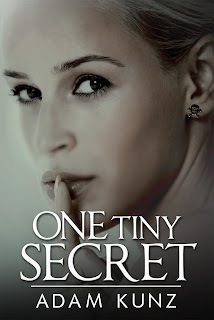 Just one tiny secret has the potential to ruin everything. Being the daughter of the sheriff in a small town like Holden Ridge means that eighteen-year-old Danielle “Dani” Marks’ life is under constant surveillance. She’s made a habit of staying under the radar by being a floater among social circles at school, which has kept her out of trouble—until now. After a missing persons case stirs up the entire town, Dani finds herself caught right in the middle of the scandal. When she’s labeled a possible suspect, things quickly go from bad to worse. The sudden return of her old flame, Parker Reed, manages to make her whole situation even more complicated. When an elusive unknown person begins to blackmail Dani by threatening to reveal her deepest secrets, Dani refuses to play along. That is, until the person’s actions take a violent turn. Holden Ridge begins to lose its sense of quaint town security, and Dani is caught in a deadly game of cat and mouse. Who can she trust when anyone around her could be a suspect? 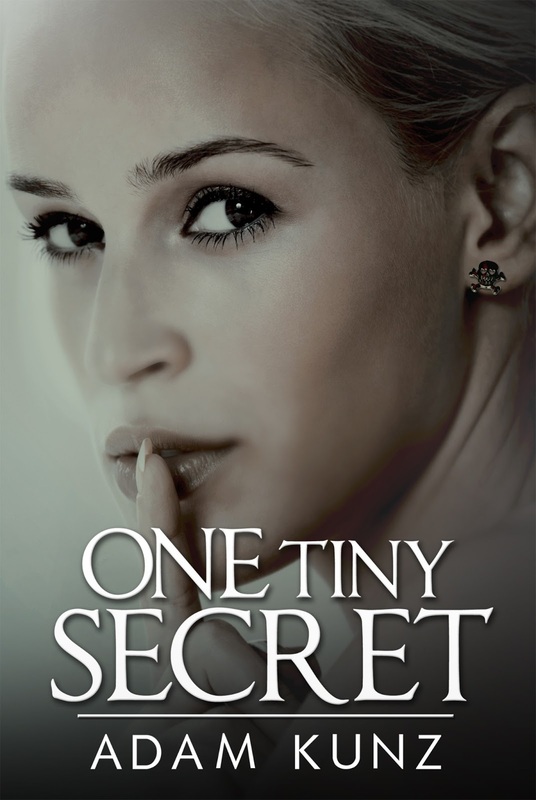 One thing’s for certain though: Never underestimate the power of one tiny secret. So, Danielle thanks for taking the time out to visit with me today! I have a few questions, so how about we jump right in? 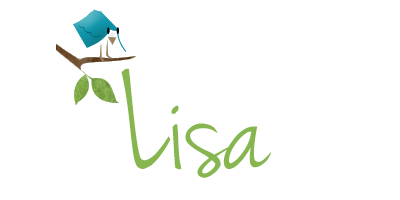 What’s it been like for you, having your story out there for everyone to read? To be honest, it’s kind of surreal. I just hope they don’t make my story into a Lifetime movie or something, hahaha! But in all seriousness though, it’s pretty crazy to relive all of that over again. There are a bunch of tough memories there, but you can’t hide from your past. You have to face it head on and just hope that you persevere, right? In a way I guess this whole thing has been kind of therapeutic. Was there any part you were most worried about everyone knowing? Uhhhh, actually the whole thing. There was a lot of personal stuff revealed, and most of those things I would’ve liked to keep to myself and not have spread around. The book really should’ve been called Lies and Secrets Ruin Your Life instead of One Tiny Secret. What are three things not many people know about you? 1) I absolutely LOVE peanut butter cookies. 3) My favorite color is orange. Can you give us a sneak peek into your iPod? What are some of the songs you have on it? 1) Radioactive by Imagine Dragons. 2) Die Young by Ke$ha. 3) Just Give Me A Reason by P!nk. If you could describe Parker in three words what would they be? Hmmmm…only three? Well, I’d say he’s swoon-worthy, thoughtful (more now than before though), and romantic. Without giving too much away, can you tell me three good things that happened after the end of One Tiny Secret? 1) I now attend Blackburn University. 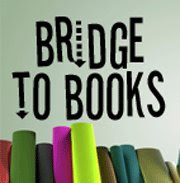 2) I quit my job at the In The Stacks book store (thought I did like working there at times). 3) I spent my first spring break ever away from Holden Ridge down in Florida. What was the last fun thing you did? The last fun thing I did was go to Florida for spring break. And lastly, what do you hope readers take away from your story? I know this is going to sound completely cliché, but the one thing that I want readers to take away from my story is that whatever doesn’t kill you, makes you stronger. Adam Kunz is the A part of the mother and son author duo C.A. Kunz. Growing up, he always had a fondness for R.L. Stine’s Fear Street series. So, it was a no brainer when he decided to write his own novel that it’d be a thrilling mystery with a dash of horror, and some romance thrown in for good measure. 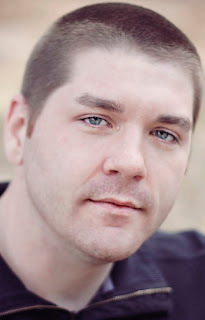 When he’s not busy writing, Adam enjoys his job at a theme park in Orlando, Florida as a décor consultant. This job brings him face to face with all sorts of nightmarish creatures, especially when he decorates the haunted houses for the park's annual Halloween event. It’s been said by many that his addiction to Starbucks coffee will most likely be his downfall later in life. FTC Disclaimer: I did NOT pay for this book, nor have I been compensated at all in any way or means for sharing this post or giveaway.